Financial District: When the guys behind Bourbon & Branch took over Kearny Street's Ginger's Trois earlier this year, they moved into the beloved gay bar with the assurance that changes would be minimal at first. Fans of Ginger's experienced quite the emotional rollercoaster at the time, though the tale appeared to have ended in momentary relief. 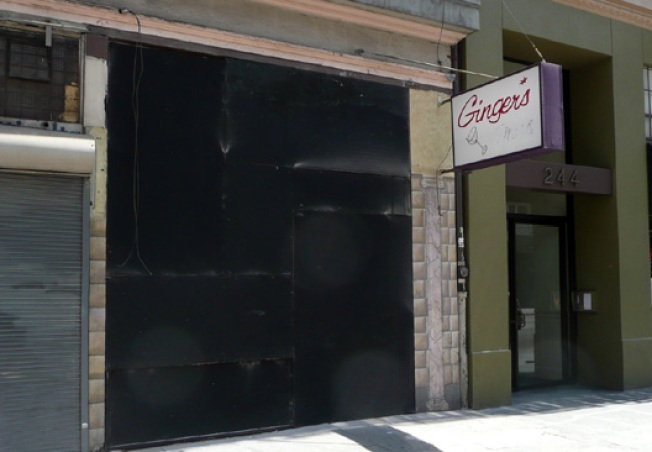 Well, turns out that the stay of execution has run its course, as Ginger's has been shuttered since the weekend and is now freshly boarded up with renovation at work inside. In two months or so, the bar will reopen—with an expanded back area—as Rick House, which is the term for the place that bourbon barrels are stored during the aging process. Godspeed, Ginger's.